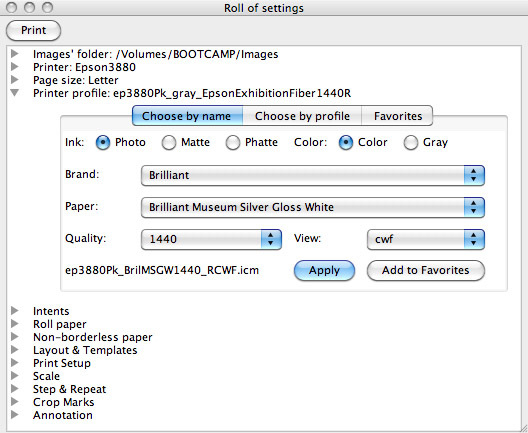 With our last post we gave a sneak preview of the features coming up in ImagePrint 9. In the next few articles we’ll spotlight a few of those features in a little more detail. This week, we focus on Wide Gamut Toning. What it is, and how it differs from ImagePrint’s current toning abilities. ImagePrint users have been using our black & white printing technology for years to produce the best possible grayscale prints. That ground breaking feature was introduced over six years ago and today is still the de facto standard around the world, and a big part of it has been the ability to tone (or tint) the print independently in different tonal regions of the image. Controlled via our tint picker, adding warmth or coolness to a print, or producing effects such as selinium or sepia, is simple and you never have to worry about altering the dynamic range, gradation or detail of the original image. We refer to this technology as Narrow Gamut black & white and it uses a specially designed grayscale profile that maps a full gamut ink set into a narrow gamut ink set. The results speak for themselves–perfectly toned prints within a limited range from neutral. But users have often asked for a toning range greater than the relatively narrow, neutral-centric one offered by that technology. 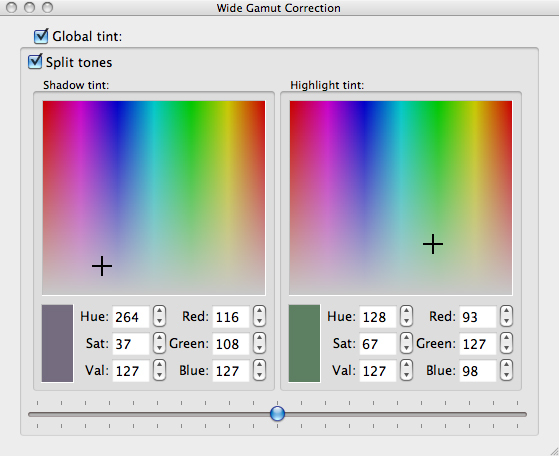 Narrow Gamut toning is great, but many popular tones and effects (such as brown toning) fall outside of its abilities. Up until now the ability to easily map those tones into a perfect gradation didn’t exist–the further the tone went from neutral, the more likely you were to see breaks in the smoothness of the transitions, plugged up shadow areas or inconstancy in the hue. But now with the advancements in our ability to finely control a full gamut inkset we are able to offer this ability in ImagePrint 9 with our new Wide Gamut Toning. Using a tint picker method similar to our Narrow Gamut tint picker you’ll be able to adjust the tone in two independent tonal areas–but rather than a narrow gamut grayscale profile, Wide Gamut Toning uses the much larger gamut of our color profiles to produce its tones. By choosing a color (or dialing one in via the HSV or RGB controls) you can instantly create a toned image in any color. The split tone checkbox determines if the same tone should be applied to the entire image or if different tones should be in effect for the highlight and shadow regions. And, just like with our narrow gamut split tones, a slider allows you to specify just where the highlight/shadow regions divide.